World famous Park Tool quality wrapped up in a combination metric wrench. Features both open and 12-point two-way ratcheting box ends. 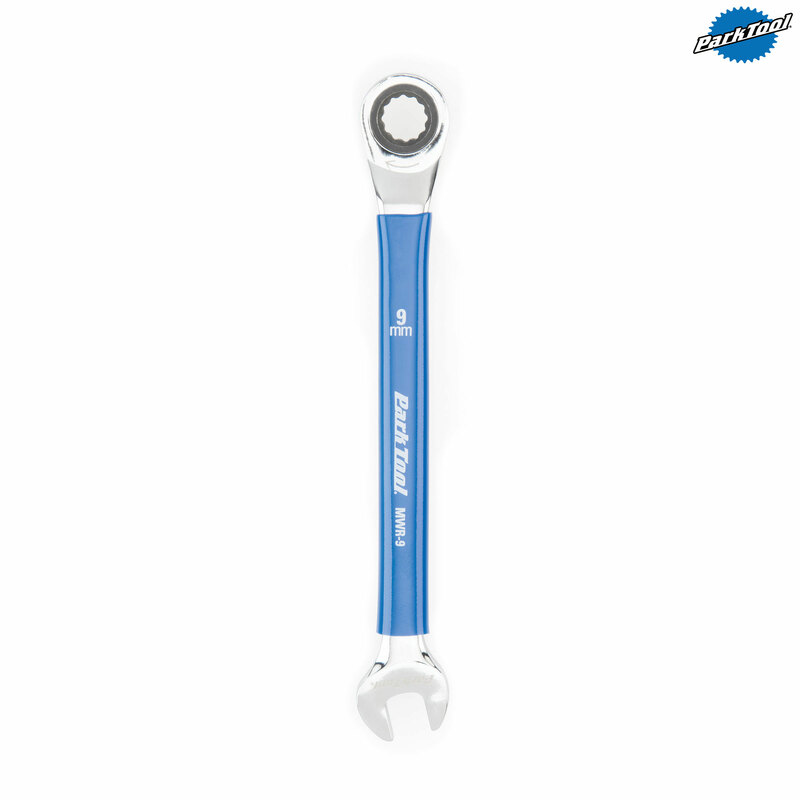 Forged from chrome vanadium steel, chrome plated, meticulously polished, then center dipped in Park Tool blue vinyl for a positive grip. Strong, comfortable, and beautiful!